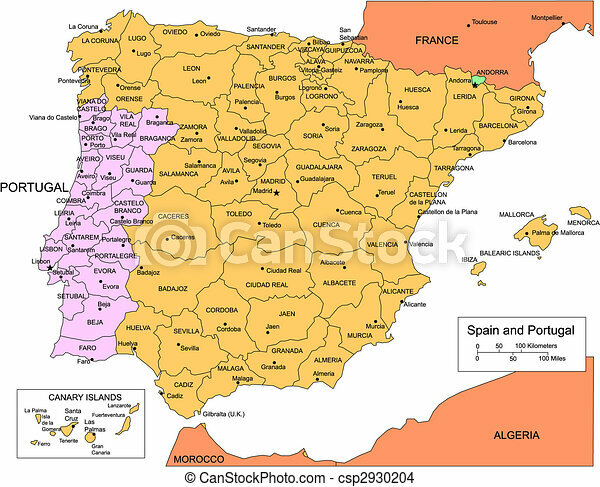 Spain and Portugal, editable vector map broken down by administrative districts includes surrounding countries, in color with cities, district names and capitals, all objects editable. Great for building sales and marketing territory maps, illustrations, web graphics and graphic design. Includes sections of surrounding countries, France and Andorra.